Academy Sports + Outdoors is among the biggest sporting goods chains in the world. At a time when traditional retail stores are disappearing, Academy is breaking ground on new locations. In 2017 the company reported $4.8 billion in revenue, an increase from the previous year. They have continued adding to their sports supplement selection, and now have a dedicated space featuring top supplement brands. REDCON1 is one of the youngest brands included on their shelves, which are exclusively top-tier. Soldiers and Airmen are passionate about physical fitness, and that passion extends to sports supplements. A growing portion of AAFES (Army and Air Force Exchange Service) revenue is from sports supplements, energy drinks, and protein bars. Aaron Singerman, CEO of REDCON1, stated, “From the inception of REDCON1, one of our goals was to be available for servicemen and women. We have always offered big discounts to active and former military personnel, but the ultimate goal was to be sold on base.” REDCON1 employs many veterans, and through the ever-growing Tier Operator Program hundreds of their ambassadors boast a military background. This past year, REDCON1 has introduced 8 new products and dozens of new flavor expansions. Two of those new products, TOTAL WAR RTD (Ready-to-drink) and the customer-favorite MRE Bar, are both now being distributed by Europa Sports. Since REDCON1 was formed in 2016, the brand has been unorthodox in its direct model. All wholesale accounts are managed and shipped to from the REDCON1 headquarters in Boca Raton, Florida. 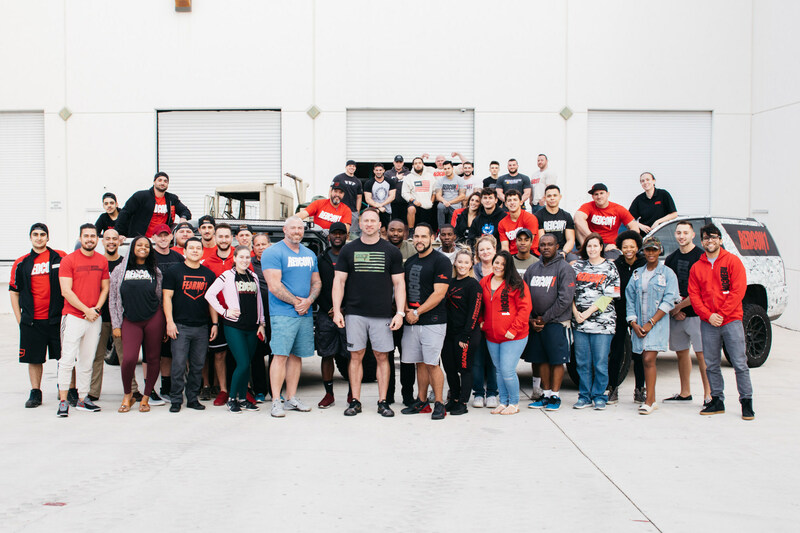 The decision to have Europa Sports distribute the MRE Bars and TOTAL WAR RTDs wasn’t an easy one, but was done based on Europa’s tremendous relationships with gyms and grocery store chains nationwide. “We have big goals for REDCON1 and to achieve those goals we need a strong partner like Europa Sports to help us get our products in places we might not get in otherwise,” said REDCON1 CEO Aaron Singerman. 2018 was a banner year for REDCON1, who have seen revenue grow an average of 300% year over year, and are expecting the trend to continue in 2019 and beyond.